Thirteen-year old Larry Ratner wouldn’t mind starting an after-school club, one of those twelve-step programs, only for short people, but he’s worried he’ll be the shortest person in the Short Person’s Club. He’d like to start a separate club for flat-chested girls too! Then he could protect Sara Rothman, the only human on the planet who Larry thinks really gets him. But Sara may be moving to the other side of the world, and Larry battles daily just to make it home alive from school, and no club is going to fix that. 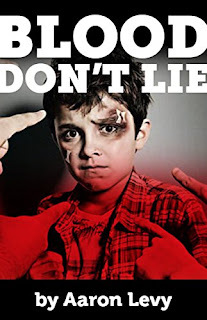 In the spirit of The Watsons Go To Birmingham, When You Reach Me, and The Absolutely True Diary of a Part-Time Indian, BLOOD DON’T LIE is a hilarious and poignant upper MG/YA novel about love and violence, hidden deep within family function and dysfunction.